Dubai will hold its debut International Textile Show in November, targeting designers and manufacturers. Dubai: Dubai will hold its debut International Textile Show in November, targeting designers and manufacturers from countries like India, Pakistan and Bangladesh. The event, to be held between November 3-4, will bringing together traders from across the world under one platform. The International Textile Fair (ITF) is expected to further boost UAE's booming textile industry, which was valued at USD 13.2 billion in 2011, and is growing at 9.9 per cent annually, a statement said. The fair will be first such dedicated event in the Gulf region. According to the statement, organisers are targeting visitors from India, Pakistan, Bangladesh, Sri Lanka, United Arab Emirates (UAE), Oman, Iraq, Libya, Sudan, Saudi Arabia, Qatar and other Gulf Cooperation Council (GCC) countries. UAE is a leading centre for textile industry automation with the presence of about 150 apparel manufacturers. Accounting for about 5.5 per cent of the annual global textile and clothing sales, the UAE has emerged as the world's fourth largest trading centre of fashion and apparel. Gulf countries are gradually becoming the world's leading textile manufacturing and trading centres due to a sound economic environment and fair trade practices, a recent international report said. 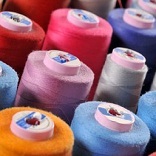 By 2016, the UAE is projected to emerge as the leading high-end textile and garment re-export centre. The ITF is supported by the Textile Merchants Group (TEXMAS) representing 800 wholesale textile traders of Dubai. In future, the organisers plan to hold the exhibition twice a year.